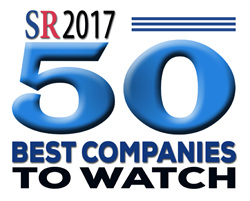 TOP Step Consulting selected to the Silicon Reviews 50 Best Companies to Watch list. Recognition like being on the 50 Best Companies to Watch list affirms our commitment to helping our customers realize profitability and productivity. TOP Step Consulting, a leading provider of operations efficiency and productivity consulting to national and global Professional Services organizations, has been selected to the 2017 50 Best Companies to Watch by Silicon Review magazine. TOP Step Consulting is recognized for their Professional Services Automation (PSA) work that enables and empowers professional services organizations to be profitable, scalable, and efficient through professional services automation, process enhancement, change management, and skill set training. The Silicon Review reports timely news on nine different technology communities: Software, IT Services, Cloud, Mobile, Big Data, Security, and Telecommunications. The “50 Best Companies to Watch” issue showcases 50 dynamic companies that are subject matter experts in one or more of the communities it covers. “The Silicon Review 50 Best Companies to Watch list identifies the most dynamic companies that have made significant contributions in the field of Business and Technology and is designed to showcase companies that provide the most leading and groundbreaking effective technologies,” said Manish Pandey, Editor-in-Chief of The Silicon Review Magazine. TOP Step Consulting continues to innovate and this year launched the PSA Extension Marketplace, a collection of pre-built, tested and ready to install PSA extension builds upon the great features of your PSA system with additional functionality to improve your PS operation productivity and process compliance. TOP Step Consulting improves business efficiency and productivity for Professional Services business operations. They help clients achieve their profitability goals allowing them to focus on building their business. Their team has extensive experience in professional services business operations, professional services automation (PSA), and project management. They have served over 300 organizations across the globe and have been awarded “Best of the Best” by SPI Research and named as one of the fastest-growing private companies by Consulting Magazine and Inc. 5000. To learn how TOP Step Consulting brings operational efficiency to Professional Services visit http://www.topstepconsulting.com.